Thanks for the update Zenmire! Interest form completed, I've had a keen eye on this game since it's very early reveal. Looks promising, just hope it has enough depth to it rather than a rinse and repeat FPS. I am really looking forward to this game as I have been wanting a World war period FPS that is as slow paced as it should be for a while. I hope it does well within TAW hopefully see some of you guys in game! I am very interested in this game. The large games and a developer that seems to work with large gaming communities like TAW. Hopefully we can forge a relationship with them.!! It's been 3 months since the conclusion of our crowdfunding campaign on Kickstarter and we’re excited to report that development is at full speed across every department in an effort to bring to life the full vision we described in our campaign. Below you'll find updates on every aspect of the game, the community and some examples of development progress. Immediately after the conclusion of the Kickstarter, we began overhauling our character models to create a standardized system to raise the quality and match them to all other aspects of the title. Our Kickstarter campaign media made use of some early models that were both inaccurate historically, but also visually lacking due to early workflow issues. Fortunately, we've been able to create a workflow that has allowed us to greatly increase the visual quality of the models, while also staying within our technical budget. By using beautifully photo-scanned faces, we've worked with our brilliant character artist and several deeply knowledgeable historical advisers to overhaul the uniforms into their later-war manifestations. 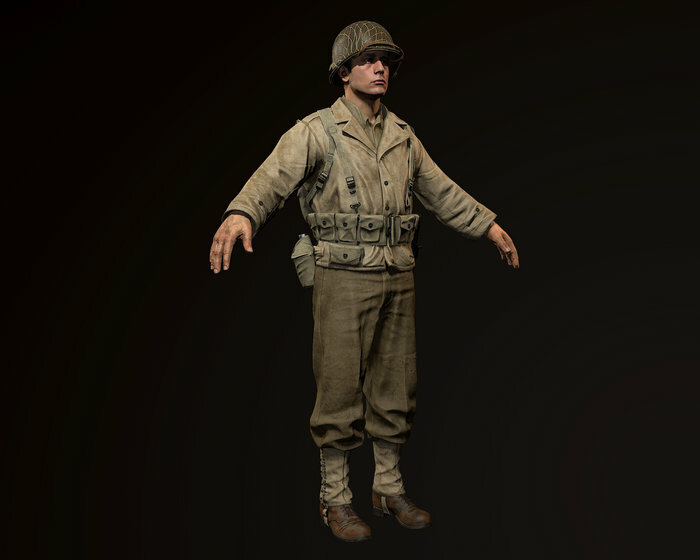 While the Officer and Rifleman characters are complete for both forces, we will continue to create different uniform and equipment combinations for each role, as well as slowly start to diversify and create new units and army branches. This is not a process that will end, as there will always be another uniform, role, unit, branch or nation to implement. All full-body character animations as seen in our early gameplay videos have been entirely overhauled and implemented alongside our new character models. By far, this has been the largest amount of work we've had to overhaul. It can take a long time to make sure that everything is performing as it should, and that it appears as fluid as possible. While we're happy with what we have now, it will take some more time to iron out every smaller bug as we encounter them. Our key focus with vehicles it to implement the trucks and other wheeled vehicles. The reason for this is simple - they underpin the supply metagame, and are a key resource in transporting units around the map. All vehicles will have a working gear system, suspension and physics properties that match their real-life equivalents. Our philosophy in all things is to begin using reality as the base, and then to push the design more towards "fun" wherever we feel players will struggle. In light of this, we've altered the horsepower and handling of some of the vehicles. 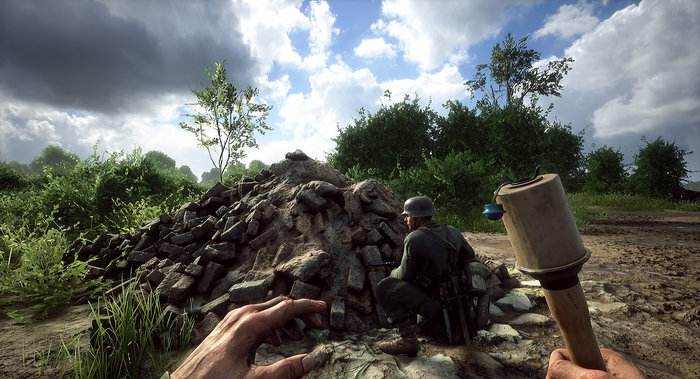 We want you to focus on choosing clever routes, prioritising supply drops and clever driving techniques - not to feel chore-laden and bored. 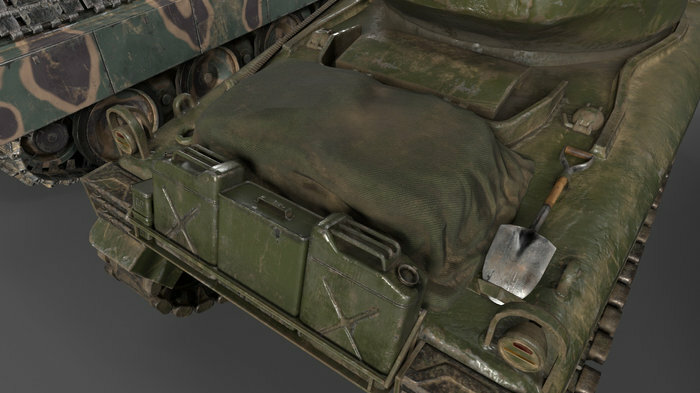 In addition, we're now applying small props and other details to all our vehicle models. It's important to give them a lived-in feeling so commonly seen in archival photographs. For many men, these vehicles were home for months - if not years! 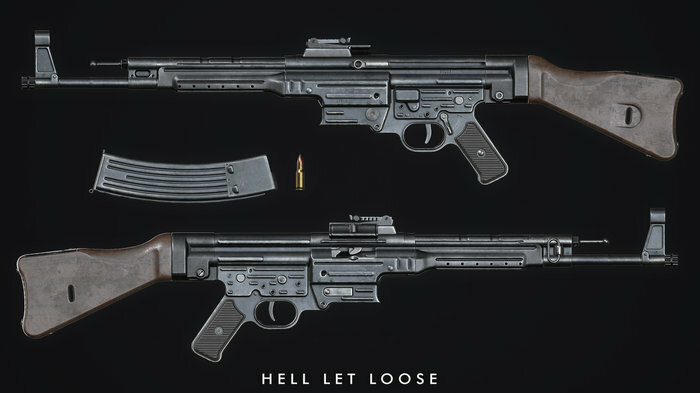 With the completion of the StG 44 model, we have nearly the full complement of US and German weaponry. 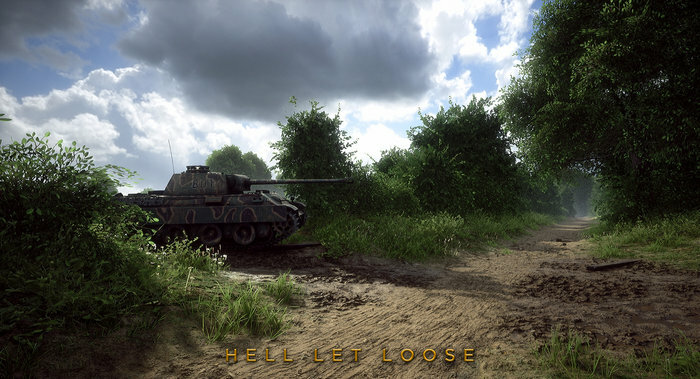 Now begins the process of finishing animations, fixing bugs, implementing weapon-specific programming (deploying machine guns), sound design, muzzle flash design, additional FX (overheating barrel smoke) and gameplay balance (recoil patterns and damage). All of these steps need to be done for every weapon, and we find ourselves with the great problem of having many to choose from! 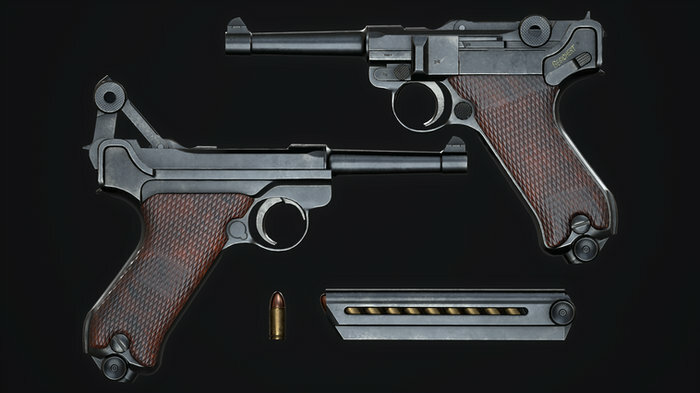 As per every other aspect of the title, we will continue to introduce new weapons for both the US and German forces, as well as others forces down the line. We have recently added two new roles - the Automatic Rifleman and the Flamethrower - to the line-up, but will most likely add several more as development progresses. 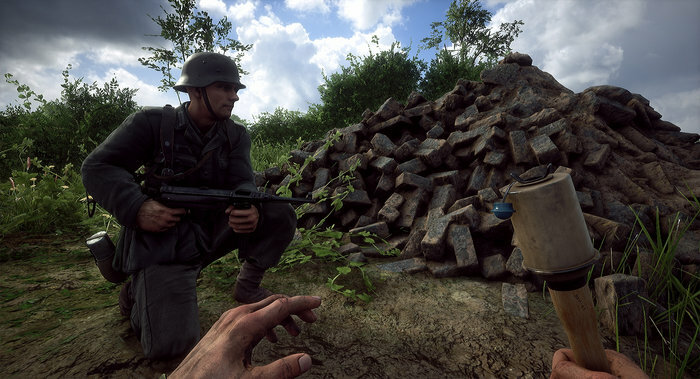 The idea is to create a large selection of different player experiences that are not only historically accurate, but also allow you to create the right Platoon composition for a particular task. The Officer role works currently as intended for all spawn deployment mechanics and initial loadout. 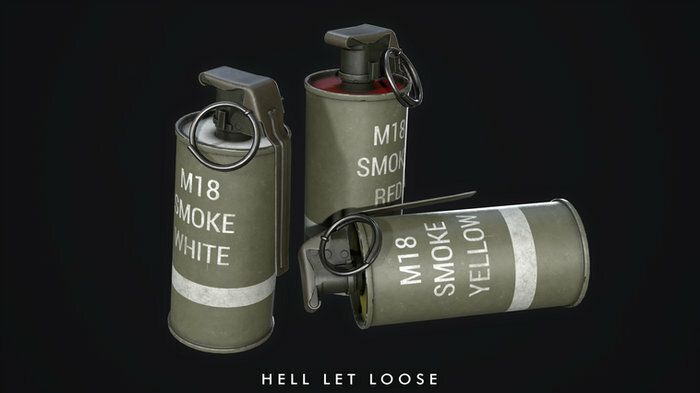 The current aspects that are not yet complete are Officer-specific map markers and smoke grenades. The Rifleman role is largely complete, with the primary weapon and grenades all working. 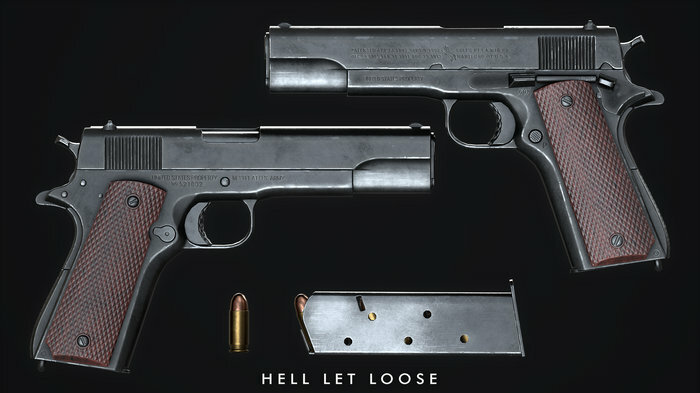 The pistols for both teams are almost complete. The medic system is underway, with bandaging working for all roles. The morphine model for the US is complete (with the German one underway). The bandage model is complete. We will need to tie in animations for both, but functionally they are almost ready pending bug testing. 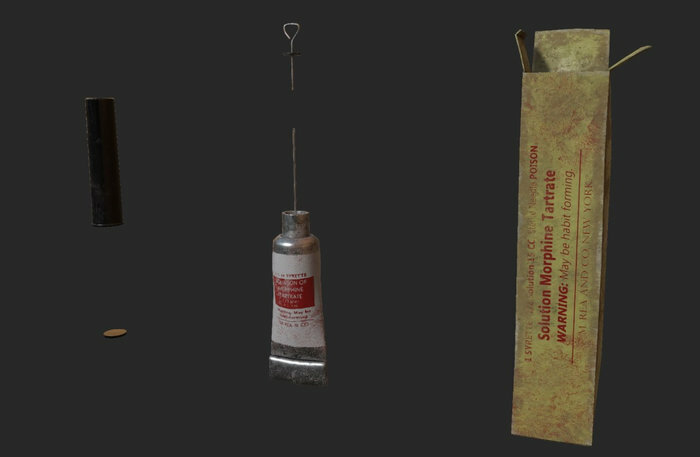 Smoke grenades are not yet complete though. Role-specific character model is not yet complete. 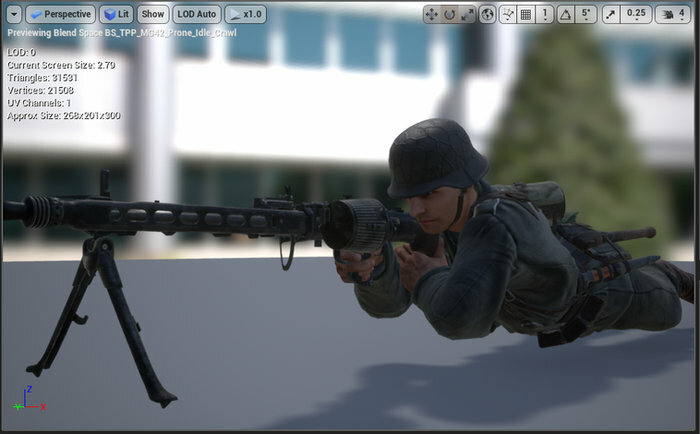 The BAR is complete, however we are yet to animate and introduce the StG 44 for the Germans. Role-specific character model is not yet complete. Both machine guns are in and working, however we’re yet to finish the deployment mechanic and the overheat/barrel change mechanics. We also need to add layers of complexity to the FX to introduce lingering barrel smokes as the weapons heats up after sustained fire. Role-specific character model is not yet complete. Both rocket launcher models are complete and the animations are underway. 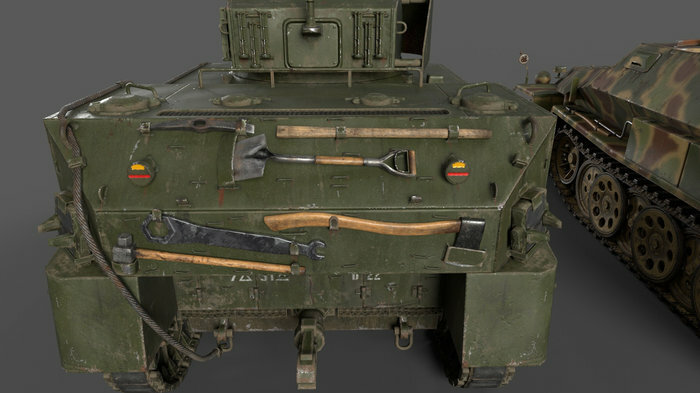 However, the projectile model is not yet done, nor is the exact damage model for vehicles. Role-specific character model is not yet complete. Both sniper rifles are complete with animations. The last piece of the puzzle is to introduce the proper zoom and scope overlay. This won’t take long at all, but it is something lower on our priority list due to the rarity of the sniper role. Role-specific character model is not yet complete. 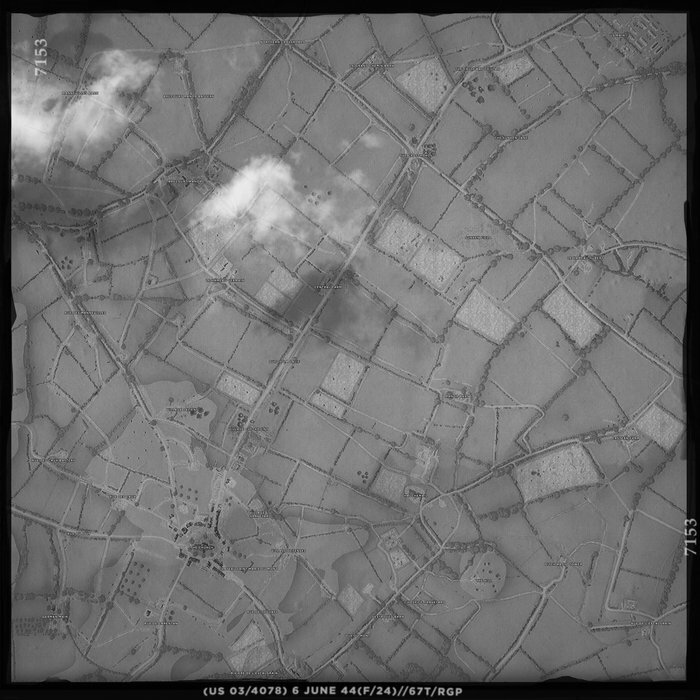 The spotter functions largely as an Officer, and so is almost feature complete. We are keen to introduce some unique abilities to the role further down the roadmap. Role-specific character model is not yet complete. The assault is almost complete - only lacking a role-specific character model. The Support role is a strange hybrid currently, and we’re going to look to add more functionality to it as we test the game. Currently, he will be able to drop a smaller quantity of supplies in order to allow his Officer to deploy cheaper defences. The Engineer needs to have much of his functionality finished. He currently is a very basic version of his final manifestation. We will be deciding whether it is useful to include him in the Alpha if he remains at such an early stage. Role-specific character model is not yet complete. The tactical map is done! We're now moving on to refining vehicles, overhauling the deployment menu and bringing the tactical map logic into the deployment menu layout. The medic system is currently underway and we’re keen to expand movement and weapon-specific functionality as we proceed. 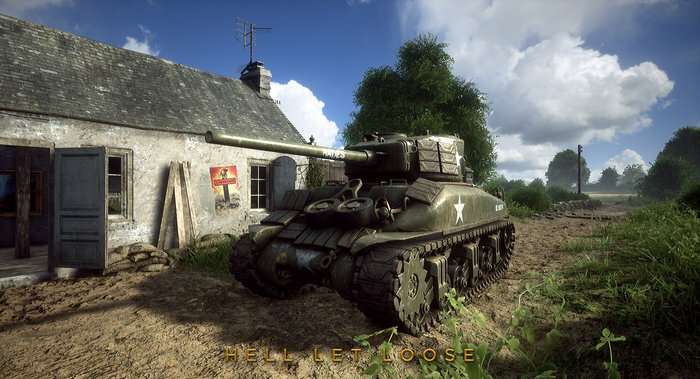 Currently, we're aiming to release St Marie Du Mont, Hurtgen Forest (which you can see above),Foy and Utah Beach for Early Access. 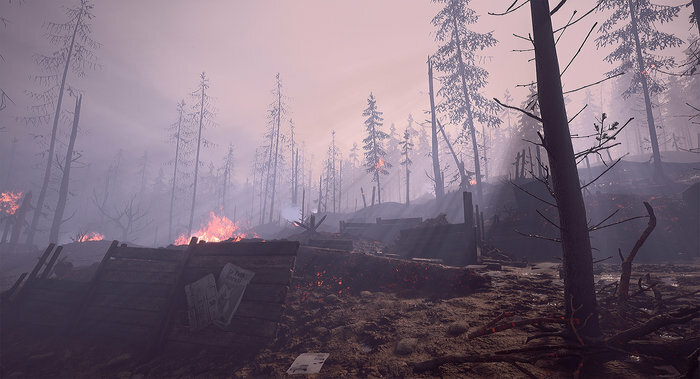 It's very difficult for us to describe the level of detail and work that goes into each map, but we're very excited to see how players engage with the different and challenging conditions in each environment. For those of you keen to take a closer look, below is our super hi-res tactical map for St-Marie-Du-Mont. Nearly every sound heard in our gameplay videos has been overhauled. We expect the sound design to continually evolve as we move towards Early Access. 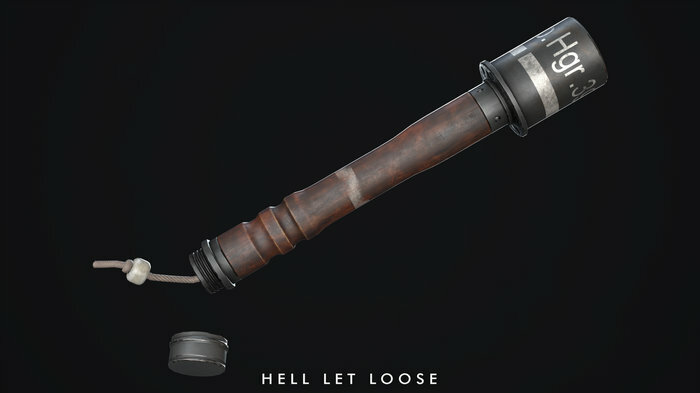 We currently have a first pass on every weapon, and will be continuing to refine and expand as we go. Our forum is currently closed to those who have not backed the game. If you were kind enough to back us on Kickstarter or PayPal then you'll have received access to the forum via email. If you did not receive an email it may have been lost in transit or sitting in a spam or promotions folder, but an account has likely been created for you. 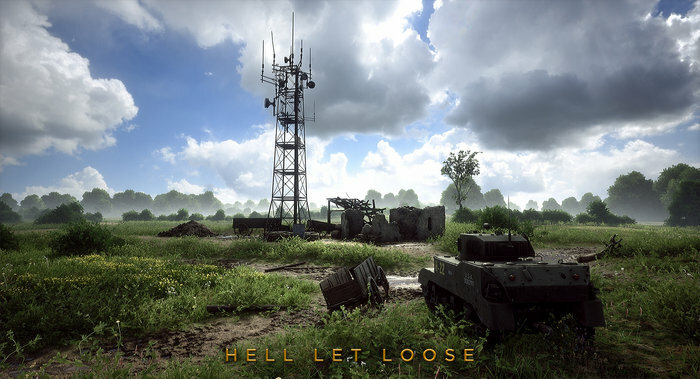 Simply use your backer email to log in here: https://forum.hellletloose.com then use the forgot password link. We will eventually open up certain areas for the wider community, but it is currently important for us to be able to receive key feedback from those who will participate in our Closed Alpha. So, when is the Alpha? It's a good question, and it's one that gets asked in Discord almost every day! At present, we feel that the end of Q1 (end of March) is a realistic Alpha launch date. As you can see in our update - every moment we have is spent on improving and expanding the content in the game. If we feel that this deadline will not be met, we will immediately communicate this with the community. Have I missed my chance to support the game? We understand that many people within the community may have only just discovered the title and are worried that they will miss out on participating in our Alpha. We have deliberated on this, and due to overwhelming demand have decided to open up our PayPal portal for a brief period with a limited selection of backer tiers. It will be available for the duration of February. Every update post they send out I get more and more excited for this game. I also like how they have reaffirmed that the goal for the Closed Alpha will be late March. Agreed! I'm glad they are keeping their promises. Field a whole Platoon! 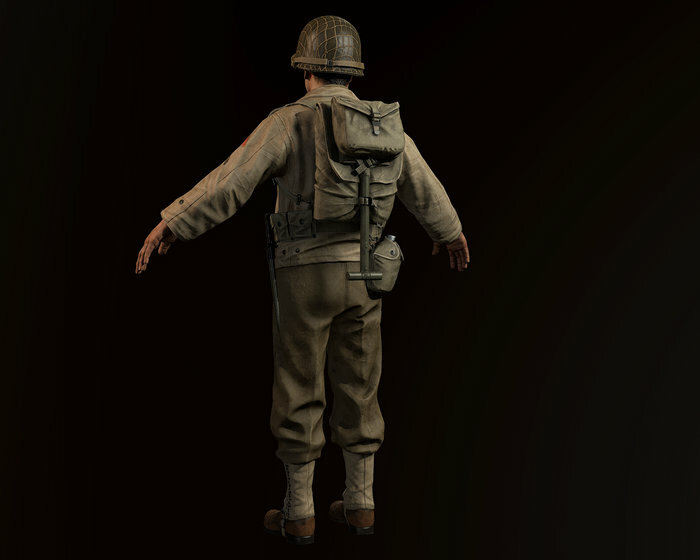 This pack includes all the benefits of the Veteran pack for you and five others at a lower price. A update on forum access for Hell let Loose. The members that have backed the game up last year should have received a email with login details or what they say on discord us you're email adress and use forgot password. For the members that are using this month to back up HLL, we will receive somewhere this month the invite. Thanks Taz. I am looking forward to this playing this. Forums are nice, very well setup, I've made a post for TAW under introductions if any of you are inclined to reply as well. Does anyone know what system requirements you need in order to play the game ?